Anyone have experience installing this on debian? 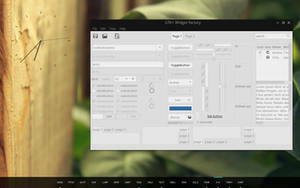 Thi is my fav gtk theme .THANK YOU! 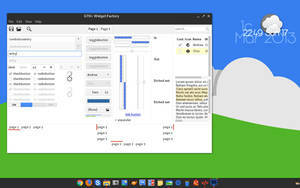 Is it still without errors on GTK+ 3.22 ? I'm looking at this theme and Boje. A bit late, pardon me. Great theme! BTW, what's the icon theme of picture 3 ? wallpapers? can't find them anywhere, they look awesome though. I suppose this is very late, but do you have plans to upload this into the new AUR? When I apply the theme to an app I'm having problems with the combo control, click the combo does not display the list of item, I mean , displays but disappears very quickly, to work properly I have to click and hold pressing the mouse button. how can solve the problem?. Theme is excelent, thank you! 1) How can I make Maximize, Close etc icons to look like squares instead of icons, like on your screenshot? 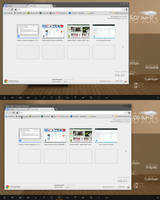 Great theme, but when in chrome or firefox, the theme looks like crux? This is exactly what I was looking for, though on the rounded theme in XFWM I removed the bottom border as that looks better on dark windows (code editors). Thank you so much for this great theme! What a font is used oh screenshot above? 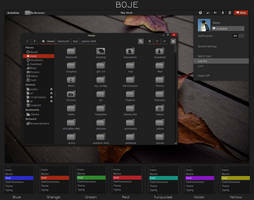 Also I'd like this theme to be updated for gtk+-3.14. 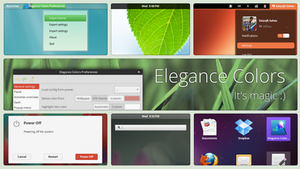 Doesn the theme work on xfce 4.8? Have the panels been made for it? Thanks. 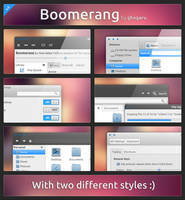 Dock is dockx,for theme look in my gallery. 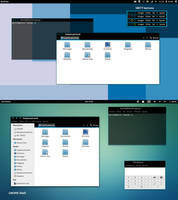 Perfect in xfce! ... very nice! First of all, thank you, this is the best theme ever! Just a question, I'm not seeing the expand arrows on xubuntu 13.10, any idea on how to enable it? This theme doesn't support (? 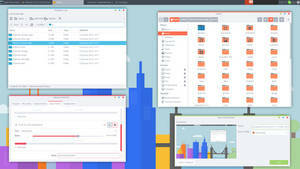 )ubuntu 13.10. Not in the near future,my graphic card do not support gnome 3.10. 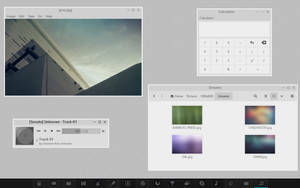 But I bet much of the GTK 3.8 themes can be work well on GTK 3.10, only a few theme consistency errors. Tried it, and there's more then a few inconsistencies. It needs work. 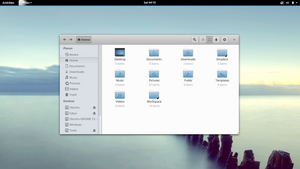 Can you try post a screenshot of some inconsistencies within GTK 3.10? It's okay, I'll try to post a screenshot by myself. 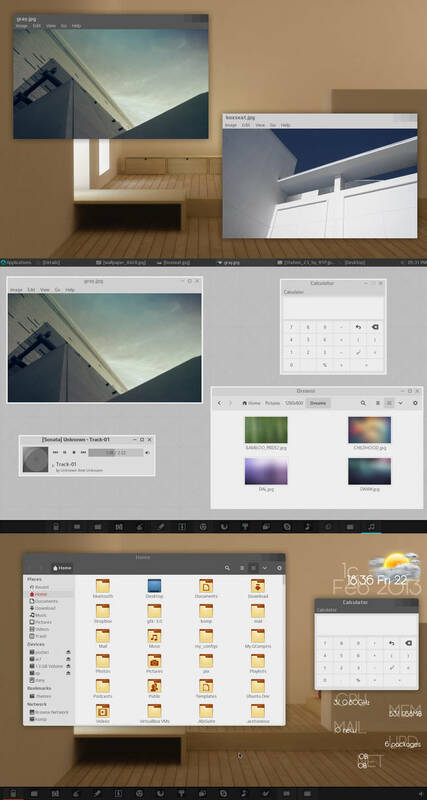 I'm using MATE, though, but I can still run GTK3 apps. 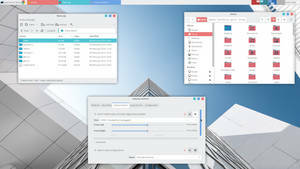 I've noticed that most of the GTK 3.8 themes are worked fine for GTK 3.10, except there is a little consistency -- I usually found why the menu bars (as well as the status bars) are too thick than usual. 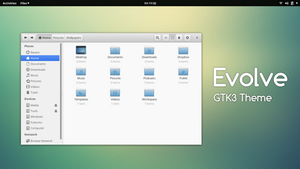 Otherwise other elements when using GTK 3.10 is still okay. 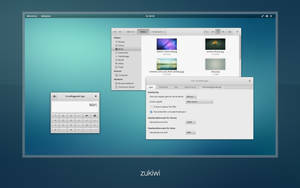 Here's the screenshot of the GTK3 applications running on MATE, with GNOME Maps and gufw. 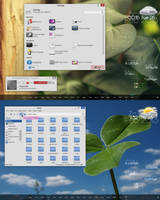 Very nice theme! 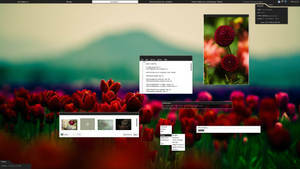 Can i use it on my Linux MInt 15 with cinnamon? 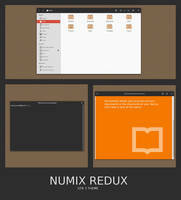 This theme is broken in Ubuntu 13.10. Hey I need your help! I'm getting a round bubble around menus and sometimes the separators aren't visible and they become overwhite. I added some gnome packages on cinnomon DE, it happened from then on. What should I install/Uninstall to get the theme finely working as normal? how do you create this bottom dock ? 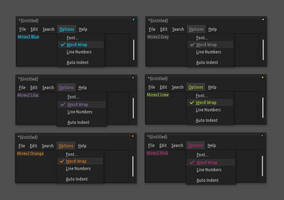 I found another quirk that is probably due to gtk 3.8. 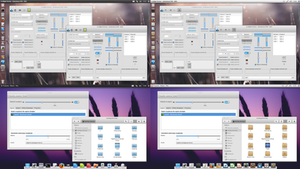 It's a screenshot from geary, elementaryOS's mail client. The items in the message list(the only thing I havn't blurred) seem to be missing a few pixels. But, in reality they are missing a whole bunch of pixels. each item should have 4 lines. Do you have any clues as to how to fix this? Maybe some height is set where padding or margin would have been appropriate? 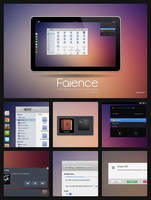 I love this theme, excellent work, nicely done, superb and smooth. But I have a request, could you make a left buttons version, mine looks missaligned. I have been using this theme for a while now. It is really great. Thanks a lot for that again. I found one inconvenience: when searching text in evince the results are shown with a colored background. The color is however so close to white that it is often hard to see where the match occurs. I searched the theme files for words like "search" and "match" but I couldn't find any reference to such classes. Is this an application specific problem or can this be set by some css class? 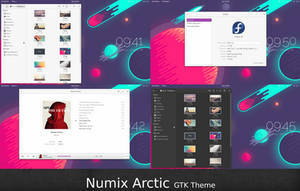 what is a good font to match this theme?